My initial hesitations about working with a business coach was wondering if they are going actually understand my business and learn exactly what my goals were. I worried if they could really help my business grow. Hiring the right coach can be tricky and doing your research is important so interviewed a few different people to see who was the best fit for me and my business. I chose Stacy as my business coach because she holds my feet to the fire when it comes to me as a person and as a business owner. She is not afraid to ask the nitty gritty questions that maybe uncomfortable, but does it in a kind and caring manner. Every time she does this we dig deep and I always get the results I have been looking for. It is like unlocking a little piece of whatever is holding me back. Because of that I experience growth both professionally and personally. I appreciate how Stacy has everything that you can expect all laid out for you to understand. There is nothing hidden. She is transparent in what she can do for you and what she expects from you. I also love the fact that she is so genuine in wanting to truly help others. She is just as invested in you as you are in her. She doesn’t give up on you and she believes whole heartedly that you are made for greatness. You gain clarity in where you are headed and she keeps you moving in the direction of growth. I would recommend Stacy because she is an expert in her field and she helps you get results! She knows what she is doing to get you from where you are to where you want to be in your business. She also isn’t afraid to tell you if you need help in other areas. She is a great connector and really looks to serve and lift up others in their lives and their entrepreneurial journey! 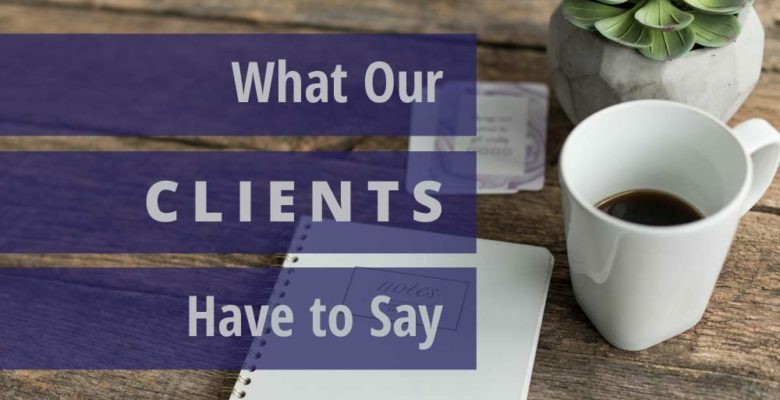 « What Our Clients Have to Say!